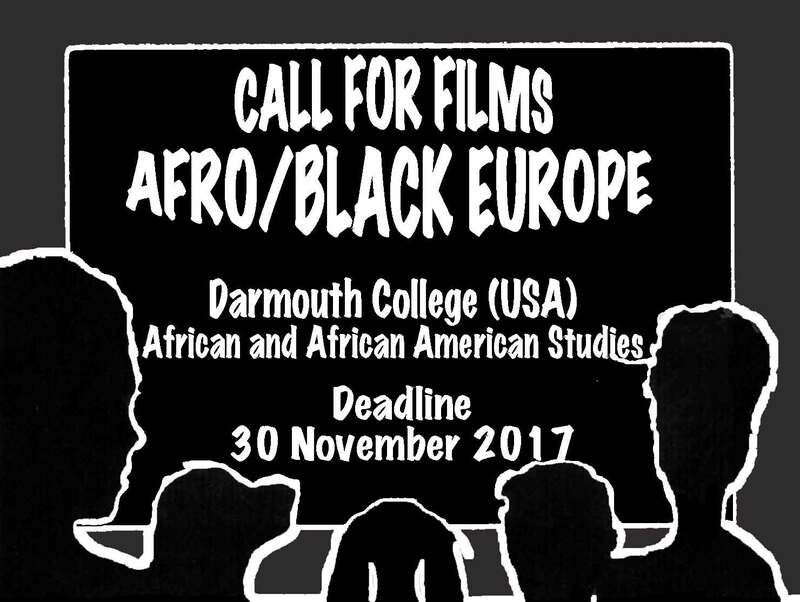 Seeking films in English and/or subtitled in English for a film series on Afro/Black Europe at Dartmouth College (USA) between March and May 2018. 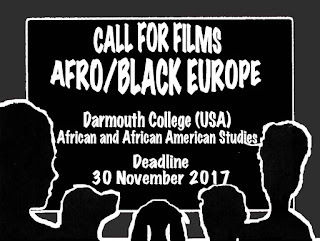 Particularly interested in recent films that explore contemporary lived experiences in relation to antiracism and antisexism, belonging, gender, identity, LGBTQ, love, race, racial discrimination, racism, patriarchy, and sexism in European countries. Also interested in historical films that contextualize those experiences. All categories—animation, documentary, feature, shorts, and web originals—will be considered. Please email the filmmaker’s contact information, a brief description of the film, the release date, a trailer, and a password-protected link and password for the film to trica.d.keaton(at)dartmouth.edu in order to be previewed in advance. Contact Dr. Trica Keaton before sending a DVD or other film formats. Selection and notification will be made by early December 2017.